Four Season Apartments located in Fairbault Minnesota offers affordable 1-3 bedroom apartments located close to schools, churches, and biking trails. Along with all the amenities of an on site playground, picnic area, garages and more, this one of a kind community is sure to meet all of your needs at an affordable price. 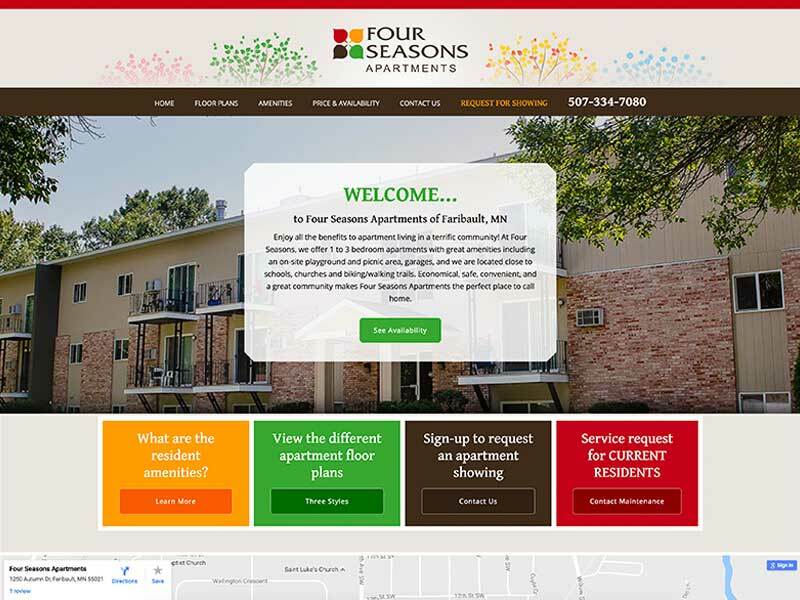 The custom web design showcases floor plans, amenities, prices, and more to help show potential tenants everything Four Season includes. Along with the custom website, our services also included a new logo that is sure to make their community stand apart from the rest. Let us help you design your new logo. Contact us today!